Solid spruce top, striped ebony back and sides, and hand-inlaid wooden rope rosette and purfling. 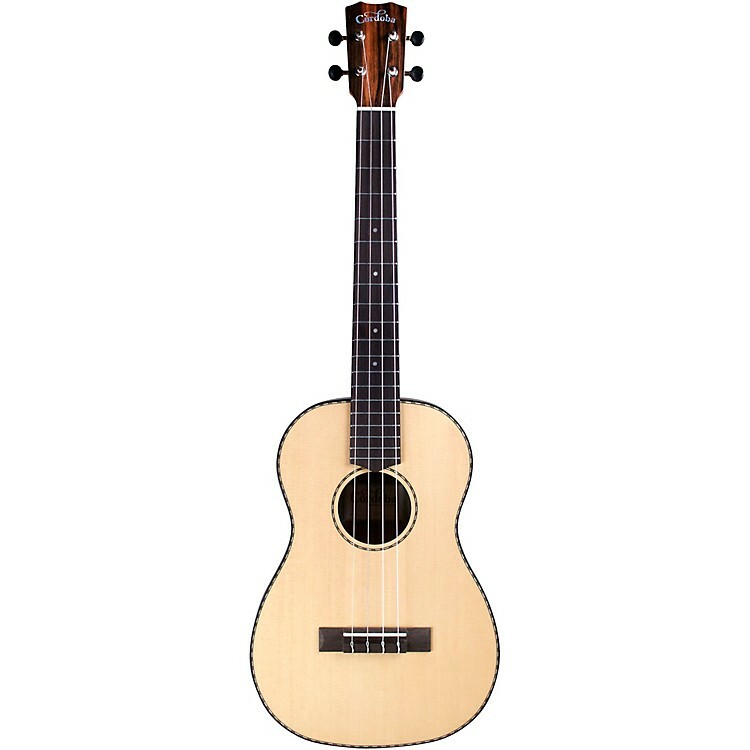 A beautiful instrument for beginners and ukulele enthusiasts alike. Order today.